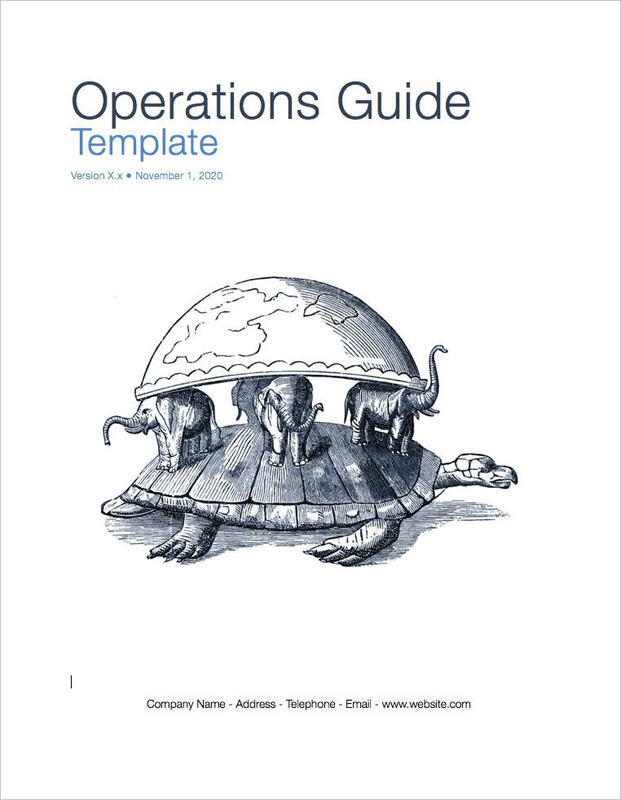 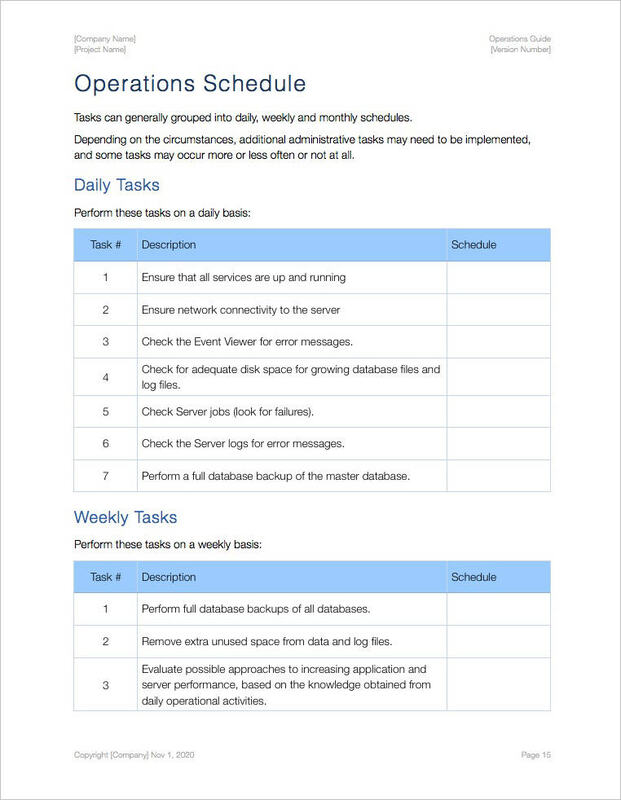 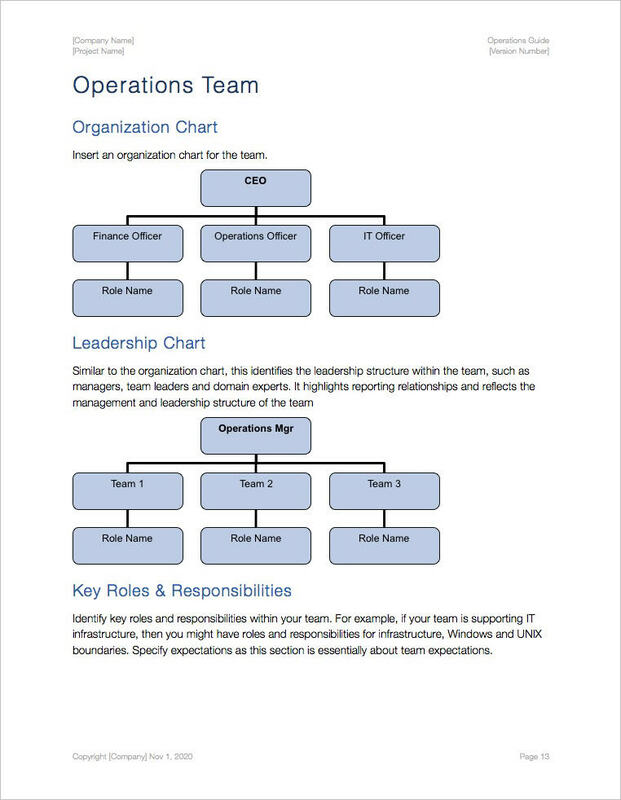 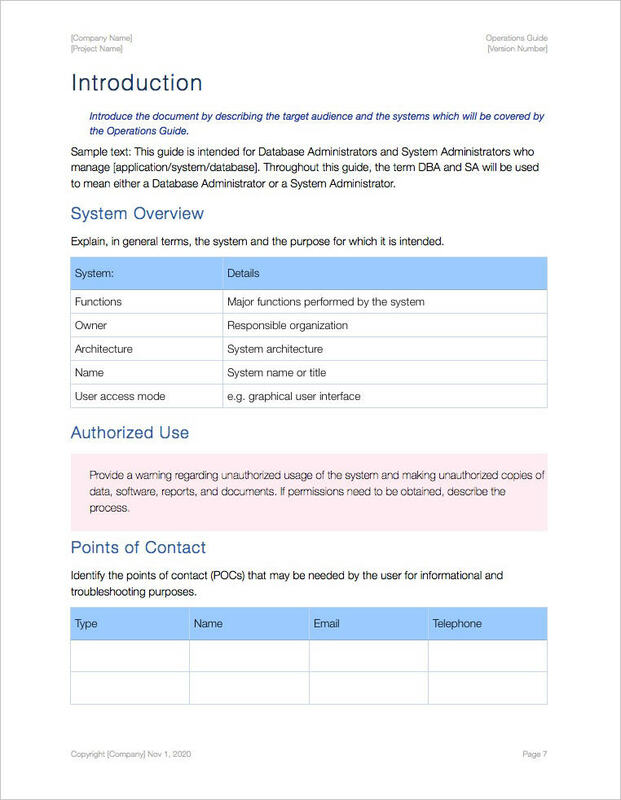 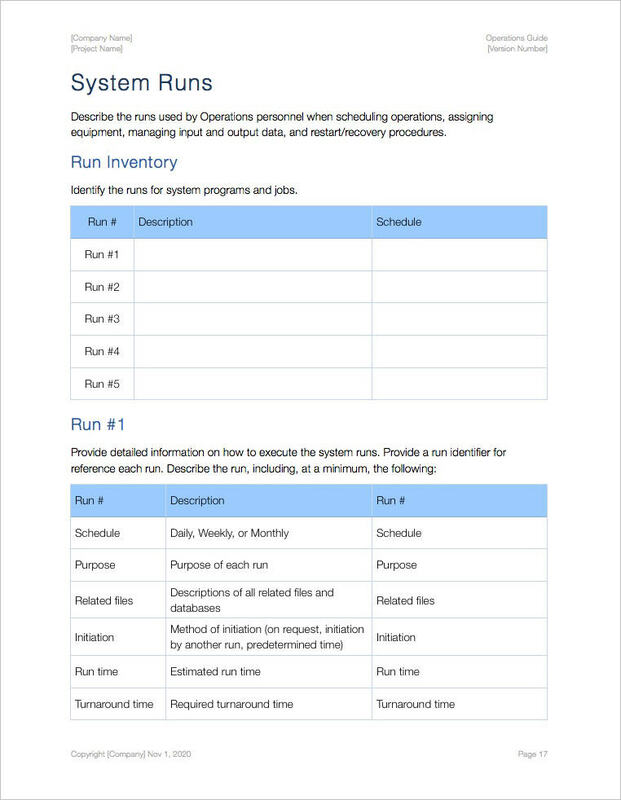 Use these templates (iWork Pages/Numbers) to document procedures for your IT environment. 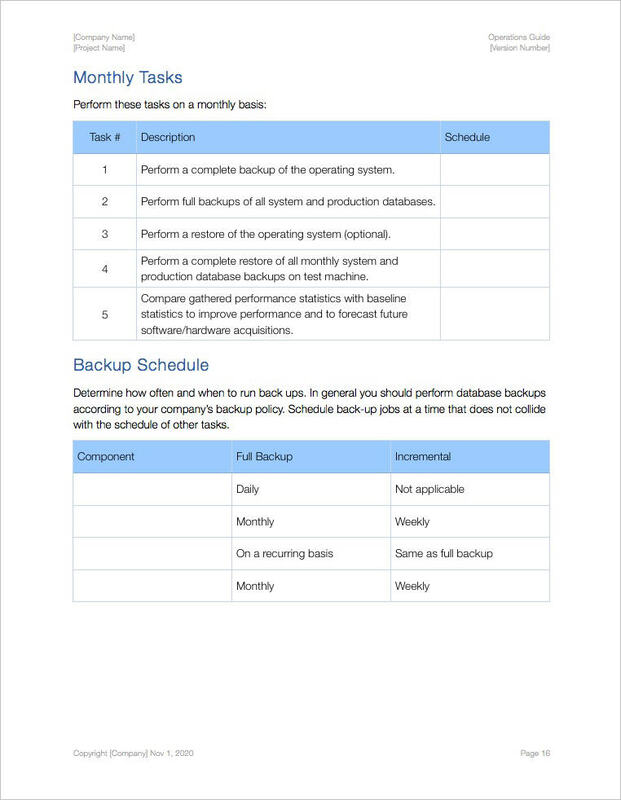 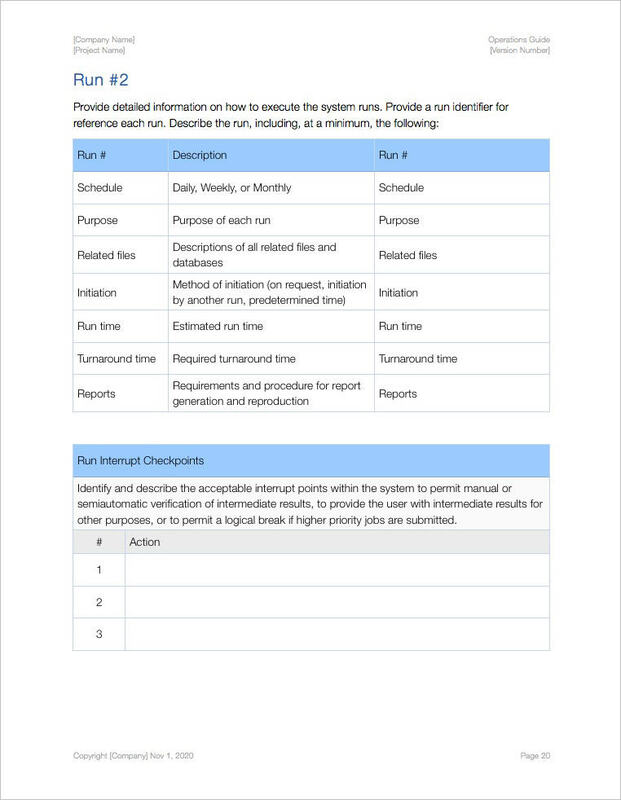 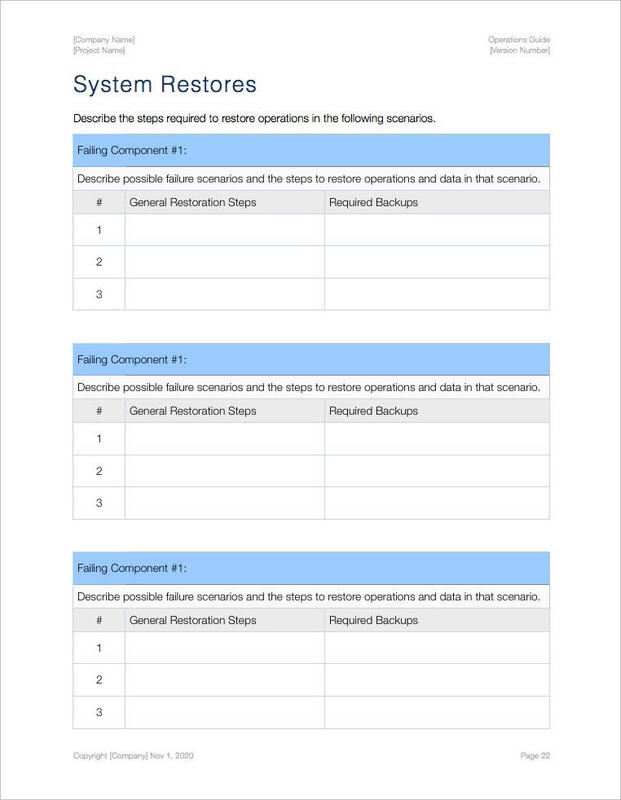 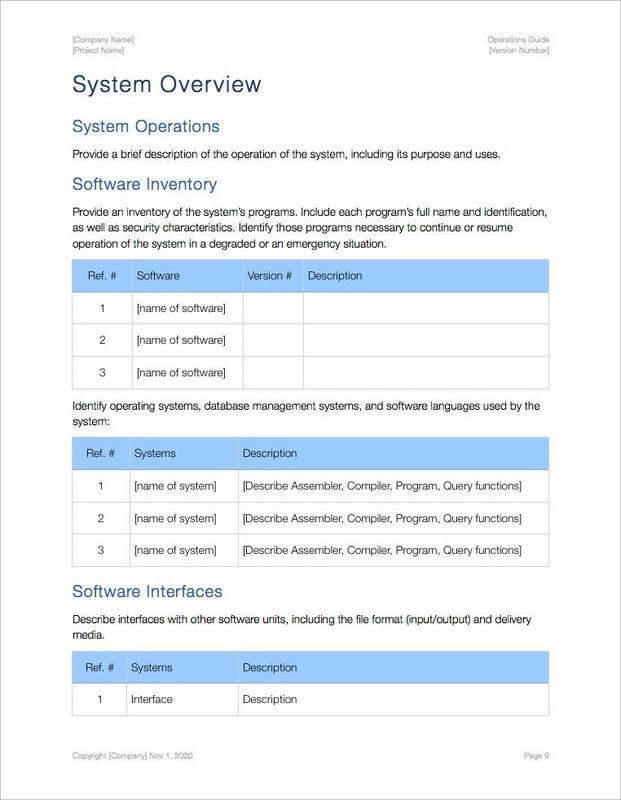 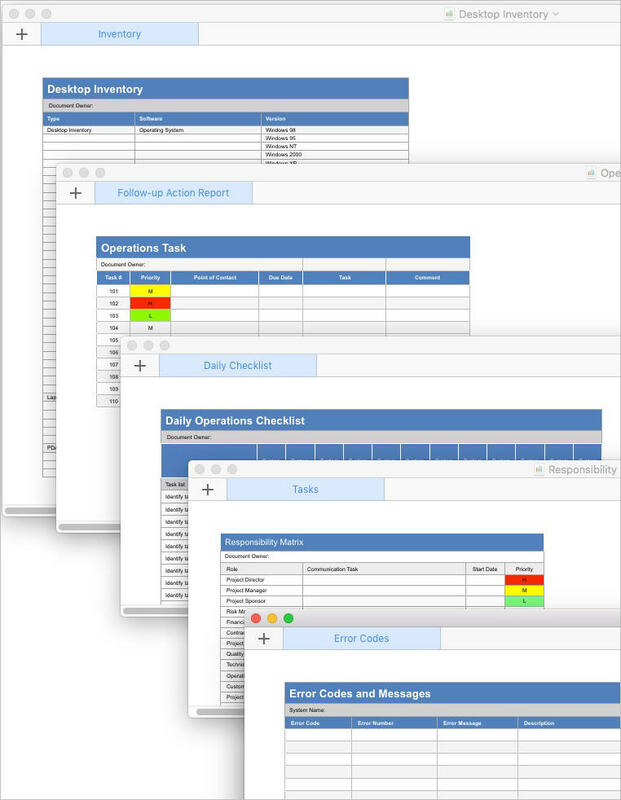 This template pack provides tables, charts, and matrices for server monitoring, backups, scheduling tasks, monitoring systems, managing inventory, and performing follow-up reports on outstanding issues. 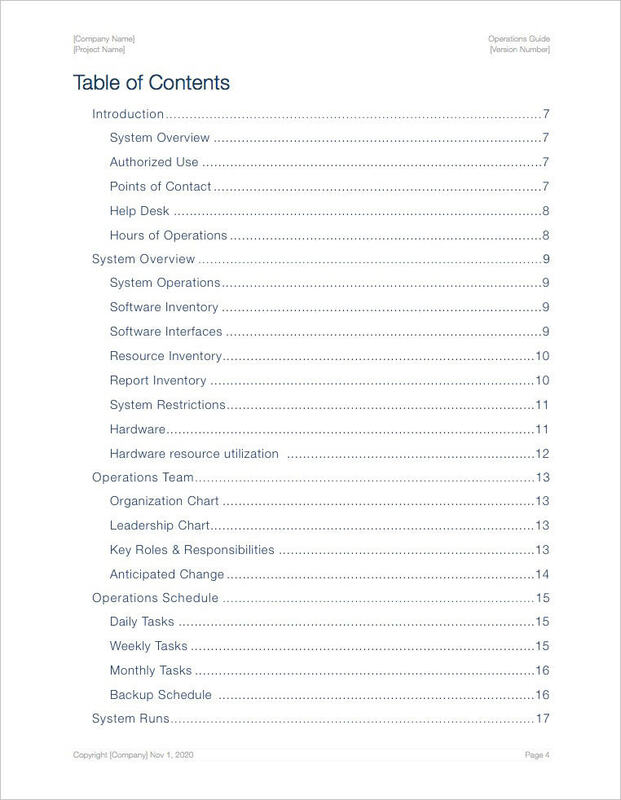 21-page template and 8 spreadsheets.